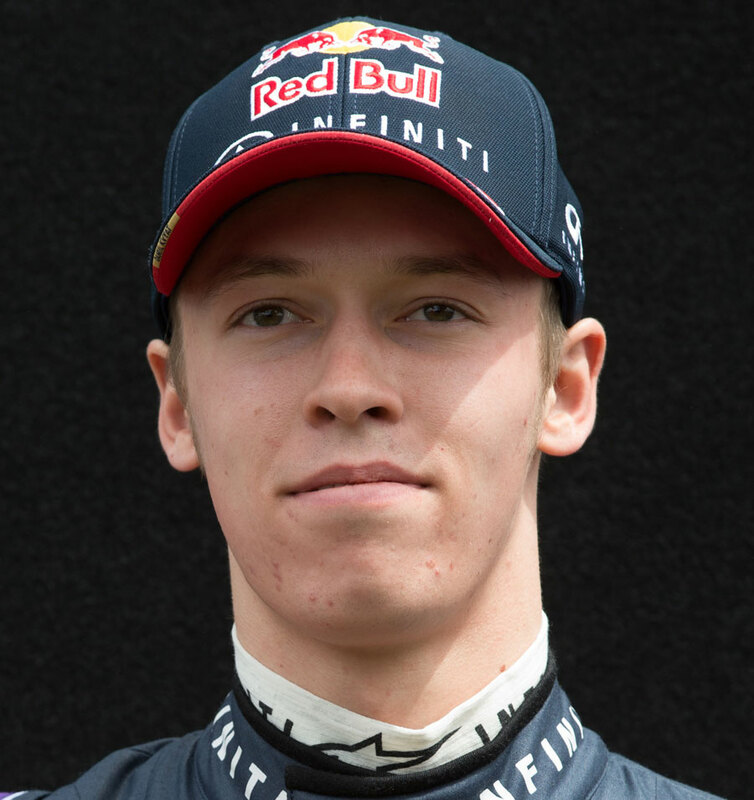 Kvyat rose to Formula One remarkably quickly. Having followed a similar path to many into motorsport - karting - Kvyat started driving single-seaters in 2010 as Red Bull backed him to compete in Formula BMW Europe. While he didn't exactly shine in his debut year on the continent - a second place at Monza his best result - he won twice in Malaysia while driving in the Pacific series. After that he stepped up to Formula Renault 2.0 and won twice in the Eurocup racing alongside Carlos Sainz Jr. He also competed in the Toyota Racing Series in New Zealand and finished fifth in the championship. Another year in Formula Renault 2.0 followed and was much more productive as Kvyat finished second in the standings to Stoffel Vandoorne and won the Formula Renault 2.0 Alps championship. Red Bull then moved Kvyat in to GP3 rather than the Formula Renault 3.5 series, and he made quick progress throughout the season to go in to the season finale seven points off the championship lead. He combined his GP3 duties with appearances in European F3 and took five pole positions, seven podiums and a win at Zandvoort. Kvyat's performances in 2013 led Red Bull to quickly elevate him to Formula One as he was announced as Daniel Ricciardo's replacement at Toro Rosso in 2014. Following the announcement, he duly sewed up the GP3 title in Abu Dhabi. Though just 19 at the start of his rookie F1 season Kvyat immediately impressed, finishing well when he was able to get the most out of his unreliable Toro Rosso. He made such an impression on Red Bull that he was immediately named as Sebastian Vettel's replacement for 2015 when the German's shock departure was announced in Suzuka. His first season with the senior Red Bull team got off to a slow start, but a breakthrough race at the Monaco Grand Prix saw him find his feet. He went on to take second place at the Hungarian Grand Prix, but ultimately the Red Bull-Renault package was not quick enough to compete for regular podiums. In 2016 he was demoted to Toro Rosso to make way for Max Verstappen and his confidence took a big blow. He remained at the junior Red Bull team in 2017 but was swapped in and out of a race seat, sapping even more confidence from the Russian. He was eventually dropped for good by Red Bull at the end of the season, but managed to secure a reserve and test role with Ferrari over the winter. Remarkably quick, Kvyat demonstrates a cool head behind the wheel which belies his tender age. Like with any young driver there are still imperfections to iron out but Kvyat has all the makings of a future star. Being chosen as four-time world champion Vettel's replacement at Red Bull for 2015 when he had only 14 grand prix starts under his belt. Qualifying fifth at his home race in Russia was the on-track highlight of his debut season. Being dropped from the senior Red Bull team after causing a collision with Sebastian Vettel on the opening lap of his home grand prix. He is fluent in four languages: English, Spanish, Italian, Russian and reads classic literature in his spare time.